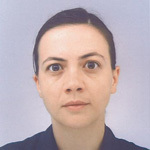 Marta Marmiroli After graduation in Nuclear Engineering at University of Bologna in 1996, she joined Mitsubishi Electric Corporation, head quarters, in 1997 where she is currently working as manager of the Power Grid Engineering Section 1. In 2008, she received her Ph.D in Energy-Environment Engineering from Waseda University. After working for long time on software and systems development for deregulated electricity market, from 2007 she started to investigate on smart grid technologies including smart meters and renewable energy sources management systems. She is now in charge of technologies and business development for smart grid. She is a member of IEEE and IEEJ.